And your twelve-year-old daughter cannot go to the party with one attached to her pant leg! 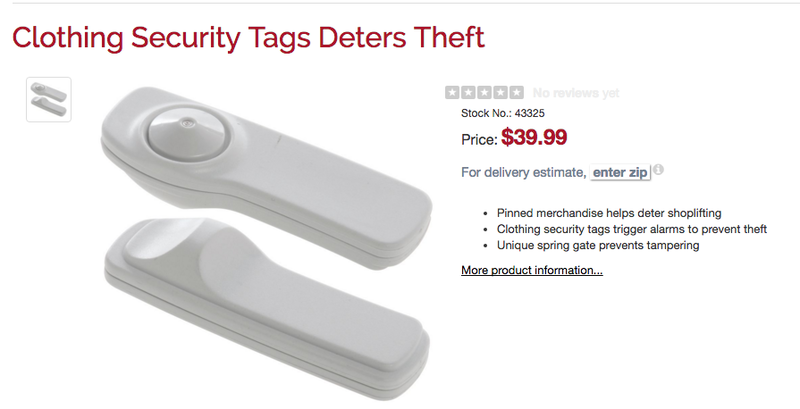 I actually take issue with claim number 2 because the security tag on the junior pants I bought at Kohl’s for my kid did not set off their alarm. Otherwise I would have taken the pants back into the store and had this %0$^ *! ()# thing removed. So my hindsight compels me to tell you to make sure when you check out that all your items are “checked out” for these pesky anti-theft devices. I thought she’d gotten them all. I’m sure she thought she’d gotten them all. I wish she had gotten them all! My choices? A–drive back to the store, in the snow, in the freezing night air, crumpled receipt in hand and have the customer service person remove said device. Or B–figure out how to get the device off myself without ruining the pants. I chose Option B and spent about 60 minutes watching “How To” YouTube videos. First I tried the low impact actions like winding a rubber band around the pin to slowly pressure pull the device apart. And, finding the strongest magnets I own and placing them on the back of the device to disengage the device. And, using two adjustable locking pliers on either side of the device and trying to pull apart until I screamed and gave up. This is what the device looks like when you’re done. The button/pin (left side of pic above) was on the front of the device and this is the backside view of the device (right side of pic above). Step 1: pull back fabric from the device as much as possible. 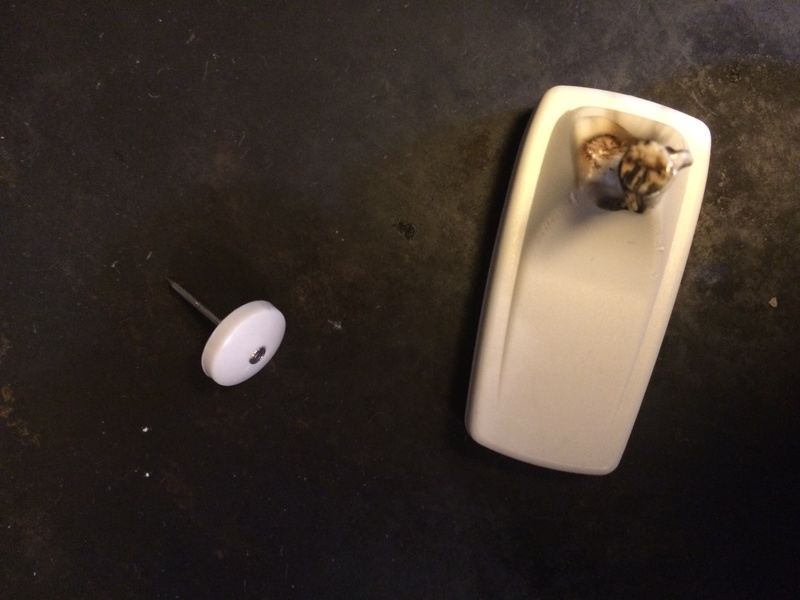 Step 2: light a taper candle in a holder and place the candle in the sink just in case things get out of hand. Step 3: hold the raised back of the device over the flame (not the button side) being careful not to burn the fabric. Step 4: continue to hold the device over the flame until the plastic gets warm and melty. It may smoke and it may smell. Step 5: remove the device from the flame and before it cools down, poke around in the melted plastic and pry the little spring out with a pair of tweezers. Step 6: Once the spring is out the whole device separates into two pieces that you can easily remove from the fabric. So, let’s be clear I am not advocating for you to start a shoplifting ring nor am I suggesting you burn your house down because you’ve put an item of clothing next to a lit candle. I just offer up my experience and a grateful daughter who got to wear her new pants to a party. This entry was posted in Tips and tricks and tagged Advice, Crazy by K. E. Blaski. Bookmark the permalink.